Providing you the best range of stainless steel tea trolley with effective & timely delivery. We are engaged in offering a wide range of furniture. 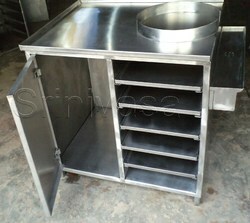 Among these, we offer Stainless Steel Tea Counter to our clients. This table is made up of high-grade stainless steel and is highly durable. These tables are highly demanded due to their excellent features like durability and corrosion resistance. 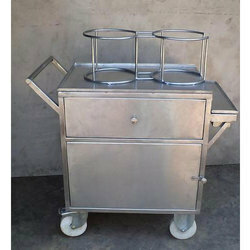 Our customers can avail from us a broad array of high-grade Stainless Steel Tea Trolley. The offered range of tea trolleys is manufactured by our experts using high premium quality steel, which is obtained from the reliable vendors of the market. Offered trolleys are generally used to serve hot tea in hotels and restaurants. We offer these trolleys in various shapes and sizes to meet the exact requirements of clients. We are also providing Serving Trolleys, Biscuit Trolley, Tea Snack Trolley.